Hi and welcome to Over the Moon. This month I’m joining in on a month-long blogging project created by The Nester, you can find the rest of the participants at 31 Days. 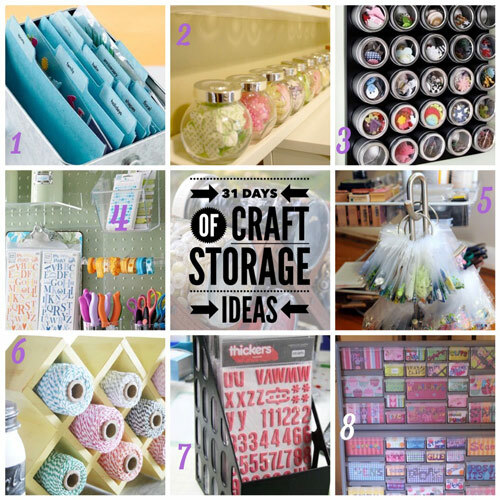 This is day eight of 31 days of Craft Storage Ideas. Storage is at a premium in our little cottage and unfortunately I don’t have a craft space of my own. One day, I’ll turn one of the bedrooms into my studio. Gabrielle takes us on a tour of her scrap room . Those little jars are so cute! The Clever Jedi uses a mug tree and snap locks on rings to keep her small embellishments organised. I really LOVE THIS! A lovely re-purposed spice rack from The Crafted Sparrow. The Science Diva converted a plastic tool box with drawers into a customized scrapbook toolbox. If you’ve found other ideas for storage ideas for small embellishments let me know in the comments or by using the contact link at the top of the page. 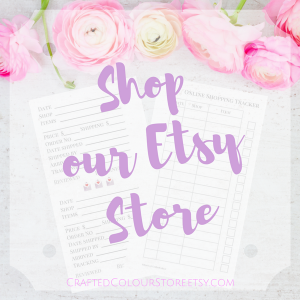 To read more in the series Craft Storage Ideas subscribe to my newsletter below, or go to the Craft Storage Ideas page to see more.